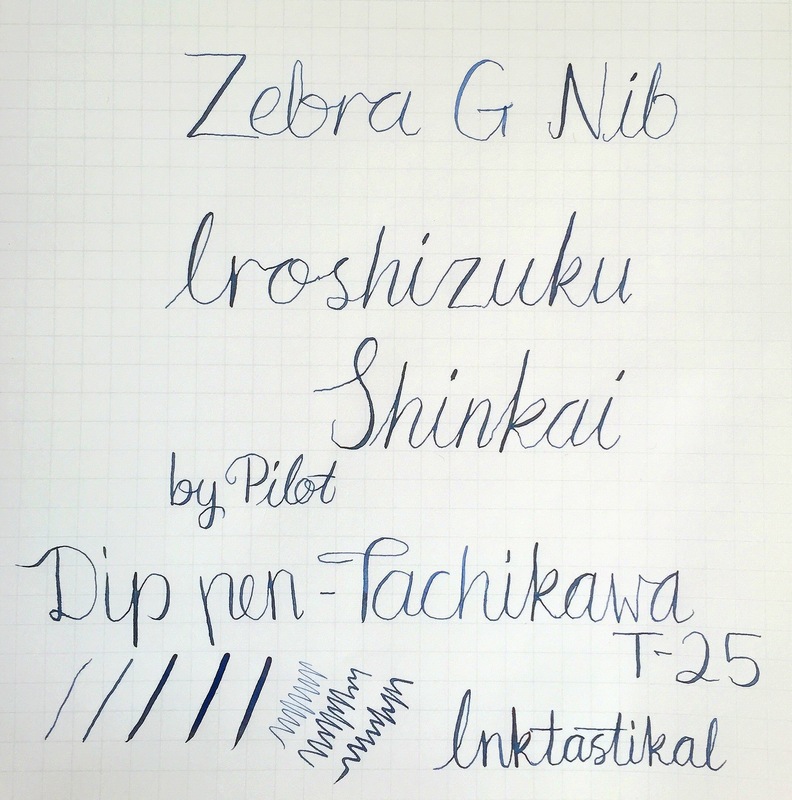 Tachikawa T-25 nib holder with Zebra G nib. Bought myself a small present while out shopping the other day. 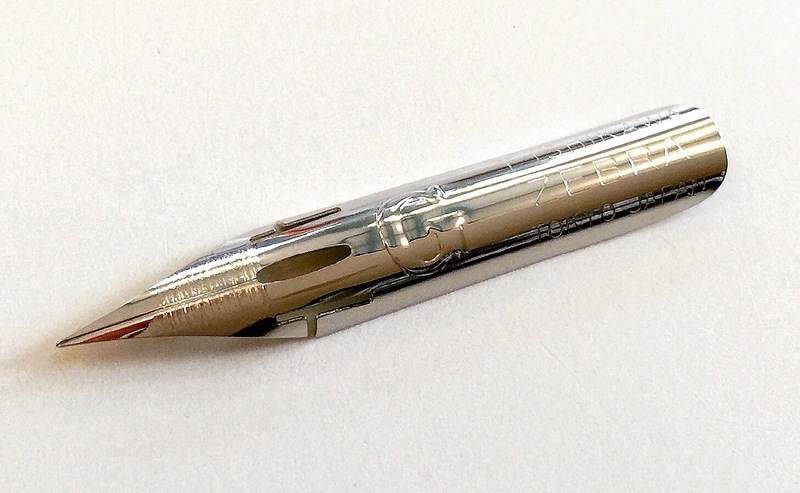 A Tachikawa T-25nib holder. I have been looking at buying a nib holder for a while to get more into calligraphy and using my inks and paper. And since most of them are made here in Japan, I just had to buy one. There was also the Tachikawa T-36 for sale too. The difference being the T36 has a rubber grip for your hand but I liked the plain wooden look of the T-25 a lot more. 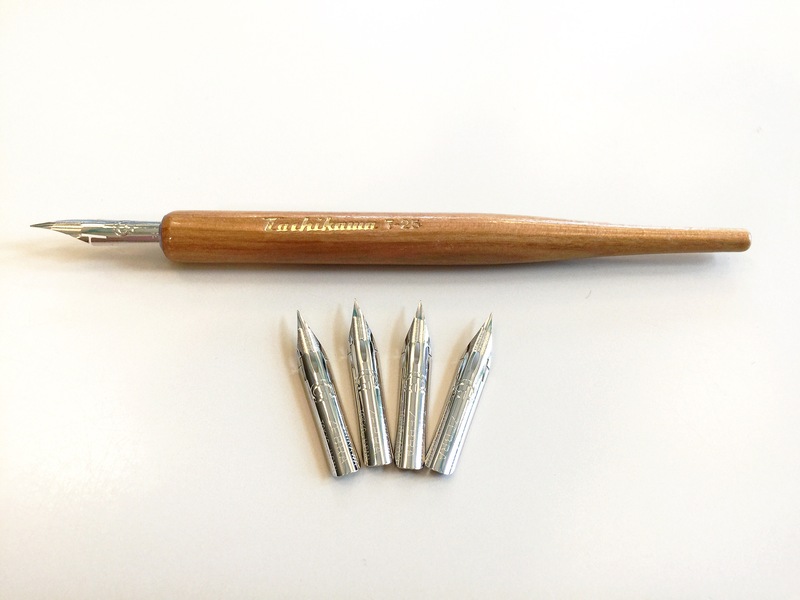 The Tachikawa T-25 is a nib holder that can hold various sized nibs. I purchased some Zebra G nibs to go with it after seeing reviews that these are pretty much the standard kind and best ones for beginners to dip pens. I have never used a dip pen and I was told there is a steep learning curve to learn writing with one. Being a leftie too brings a whole new bag of problems too, but, I tried it out and think I did pretty well with my first dip experience. I have been using my Iroshizuku Shinkai ink with it. Some Youtube videos say that using fountain pen ink is not reccomeneded because the ink drips off too quickly, so I will look into buying some proper dip pen ink and see what the difference is.